No information available regarding this car, but I'm guessing it was part of a promotional train set as it makes no appearances in any AHM listings/catalogs that I've found to date. 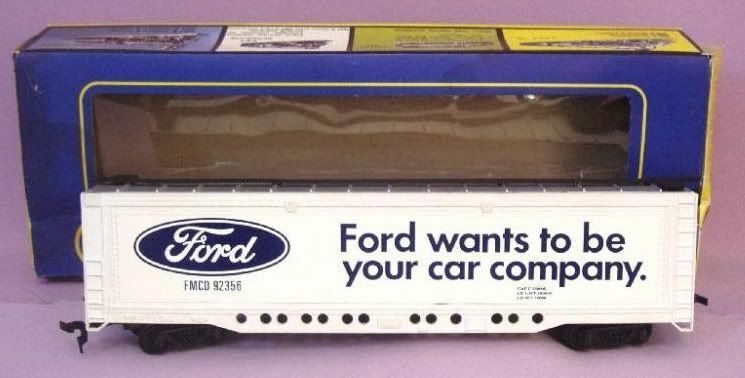 Though it may also have been a regular stock offering from AHM, there is a Ray-O-Vac Batteries promotional train set offering that includes this car. The Ray-O-Vac set has been seen with AHM's C424 dressed in Spirit of '76 as part of the set contents. The first appearance of the All Door Box Car in the AHM line is late 1972. Railroad Model Craftsman includes this All Door Box Car and the Coil Car from AHM in its Test Track column in the January 1973 issue of the magazine. A Southern Pacific All Door is pictured in the review. The magazine states the model follows the Southern Railway's prototype and is available from AHM decorated for Southern, SP, UP and DT&I with a retail of $2.98 each. Concurrent with the AHM release of the All Door Box Car, both Bachmann and Life-Like marketed very similar examples. Below you'll find the Bachmann All Door Box Car and the Life-Like model pictured, you may click on either image to be taken to those respective sites and information regarding those company's issues of this freight car. 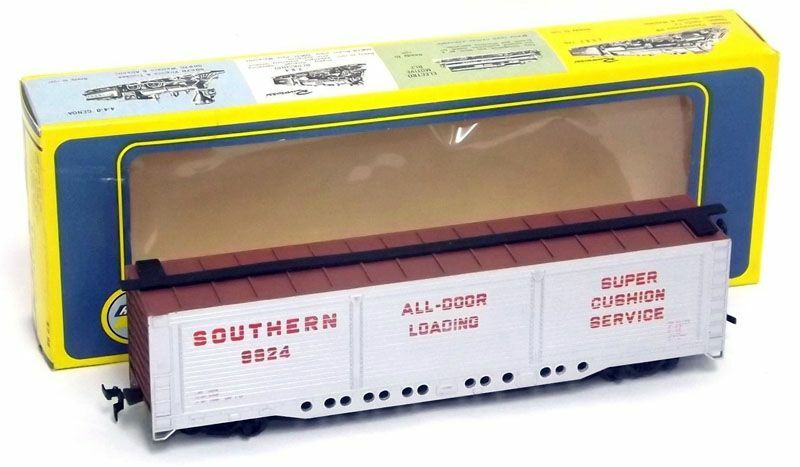 Below is the box flap from AHM's 5270-series run of All Door Box Car models. As noted on the box, the car was produced for AHM in Taiwan. Kader operated a plant in Taiwan during the time this car was offered by AHM, I would speculate that due to its similarity with the Bachmann model, also a Kader product, that Kader made this car for AHM in Taiwan.